My English cocker spaniel, Julie a.k.a. Juliet breathed her last today- 31st May 2012. She passed away peacefully in my mother’s house in Mumbai where she had been living since the last 12 years of her life. 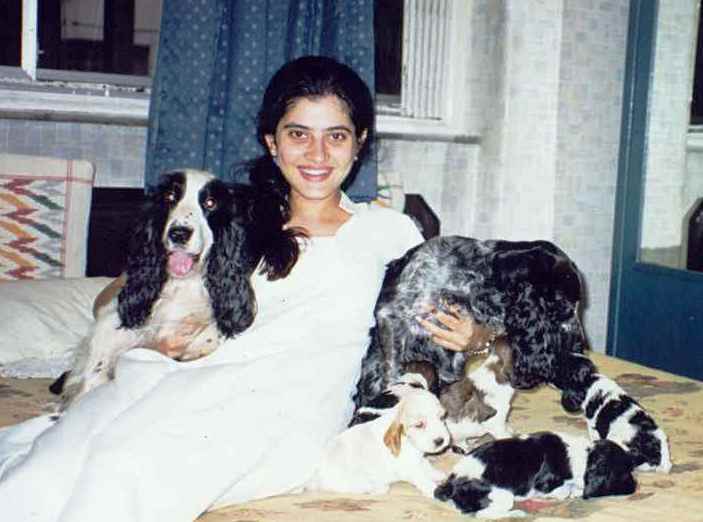 She died in my mother’s arms, who had been her sole carer after I moved out of India. In all I would like to believe that she led a complete, happy life. I wish I knew her date of birth but Julie came into our household quite unexpectedly. 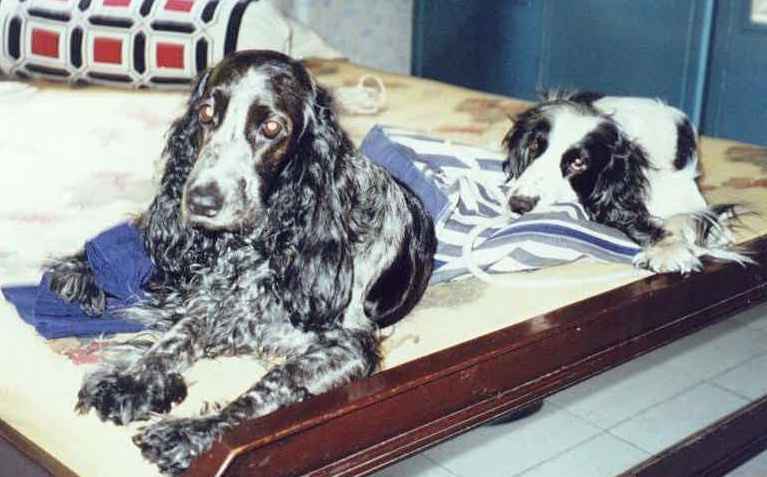 I had another young cocker spaniel at that time – Romeo, and a friend of mine told me about this pretty little black cocker spaniel female pup who was looking for a house since her owner did not ‘want’ her anymore. Since I was passing by their place I thought I’d take a look. This little ball of fur came springing into my arms and had such abundant energy that I wondered why anyone would want to get rid of her? Anyway a couple of days later, that pup ended up being adopted by me! “Romeo really likes her”, I told my mother who couldn’t resist her charms too. Although Romeo and Juliet (no prizes for guessing why she got that name) were similar in size and just a year apart, they were quite different in nature. While Romeo was a thorough Englishman with impeccable manners, Julie was complete chaos everywhere she went. While Romeo would want his long, droopy ears tied while drinking his water so as not to wet them, Julie would slosh around her bowl not caring even if the bowl tipped over! She would make wild dashes back and forth and get into a frenzy and tried her best to get Romeo to play with her. She did win some times and it was nice to see Romeo abandon his reserve and get muddy along with her before he could realise his faux pas! They were both also fortunate enough to fall in love and get a litter of 5 adorable puppies who got adopted into loving homes. I never did sterilise them after that….I guess they never did “fall” in love again 🙂 but were happy companions. In one of my recent blogs I had written about my ‘kids’ before my kids wherein I have spoken about these 2 babies of mine, otherwise I think I can go on forever.